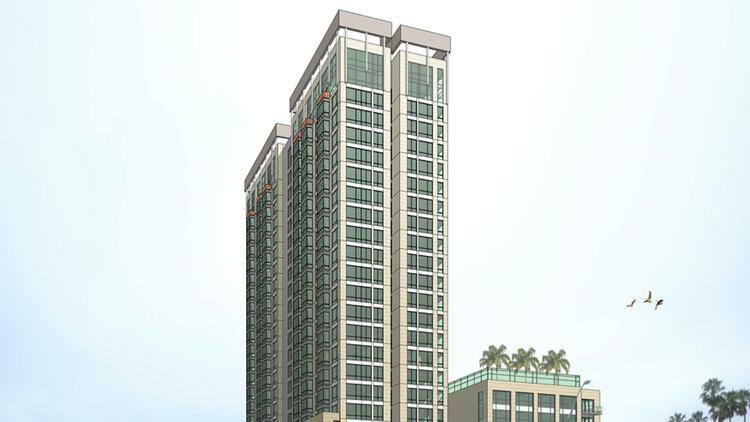 The residential tower proposed to rise next to Lake Merritt has faced heaps of scrutiny. Local developer UrbanCore Inc. and the City of Oakland have been peppered with tough questions over the allegedly lax process that resulted in the developer gaining exclusive rights to the public land. The project isn’t required to deliver affordable units, prompting neighborhood outcry over gentrification and protests that shut down a City Council meeting earlier this month. While the spotlight has been on embattled UrbanCore, the real money behind the 24-story residential tower with 298 units is actually the publicly traded real estate investment trust United Dominion Realty(NYSE:UDR). So one significant point is worth noting amid the controversy: UDR is the first public REIT to take a gamble on a proposed housing development in Oakland this decade. A successful property sale and development would send positive signals to other REITs looking to front money for badly needed housing supply, said Andy Ball, president of Suffolk Construction, which is building residential towers with developer Ellis Partners in Jack London Square. In turn, that housing supply is expected to spur more affordable units to low-income residents if Oakland approves new development fees over the next year. The City Council likely won’t vote on the $5.1 million property sale that would trigger the tower’s construction until next month, but the city and developer are negotiating terms behind closed doors this week – possibly figuring out how to boost affordable housing dollars that the project would supply. UrbanCore’s president Michael Johnson wouldn’t disclose details of the deal with UDR, which was struck earlier this year after months of negotiations. In the past decade, only two REITs have looked to bolster its stock by investing in multifamily housing in Oakland, according to Real Capital Analytics. Those two REITS, BRE Properties and Essex Property Trust, each bought the same building in Jack London Square in 2011 and 2014, respectively. UDR, however, is investing in a building that hasn’t come out of the ground yet – a riskier bet. It’s significant that REITs are getting into the new-construction game now because they’re more likely than private equity to place a long-term bet on major developments in Oakland, said Michael Cohen, principal at Strada Investment Group, which is also proposing to build a highrise residential building on a public site downtown. “If you’re building highrise – where the costs are high and it’s a thinner margin – the ones that (are profitable) will pencil with long-term capital investors like REITs,” Cohen said. But REIT investment can also create some hurdles. Part of the tower controversy stems from the fact that the city will sell the property instead of leasing it to UDR and UrbanCore, even though the City Council passed legislation last year that leasing public property is preferable because it reserves it for Oakland’s future use and gives the city more control. But lease payments would drag down UDR’s stock, while “payment for the land can be a capitalized cost upfront and accounted for in the basis of the project, which is preferable for a REIT structure as UDR is,” UrbanCore’s Michael Johnson wrote in an email to the city released under a public records request. This would represent UDR’s only Oakland investment. The company owns 2,108 housing units in San Francisco, but its biggest presence is in Washington D.C. and Orange County. It is currently building more than 600 units combined in Mission Bay and Pacific Heights. City officials have said that UDR’s involvement makes this a test case. If the city can get a steady trickle of REITs interested in taking on development risks, it could duplicate what San Francisco saw a few years ago when public companies were some of the first to put money into San Francisco real estate after the recession. That’s key as the city tries to inject more housing development through rezoning. Already, development interest in Oakland is starting to reach a frenzy, though there is still relatively little construction going on. A public site in the Uptown neighborhood garnered interest from eight housing developers. Real estate investors have also started to eye West Oakland, as the Business Times detailed in a cover story last month. “Oakland is going to fire up like you can’t imagine over next 12-to-18 months,” said Chris Foley, partner at the San Francisco-based condo sales and marketing group Polaris Pacific. That’s a big shift from the last few years when development has been silent in Oakland as real estate boomed across the bay. Last year, about three-quarters of the 788 new units completed in Oakland were subsidized affordable units, according to a city report. Only one major market-rate project was completed in 2014. So why would a public company want to park money into Oakland housing development at a time when little has gotten built there? Rents have gotten high enough to cover the costs and risk of development, said John Manning, who leads the brokerage JLL’s real estate investment banking group. That certainly seems to be the case with UDR. The company didn’t respond to a request for comment, but UDR’s chief operating officer Jerry Davis spoke on the topic during its last earnings call. This entry was posted in Blog, Oakland Real Estate News. Bookmark the permalink.